AniTAY Question of the Weeb: Music! 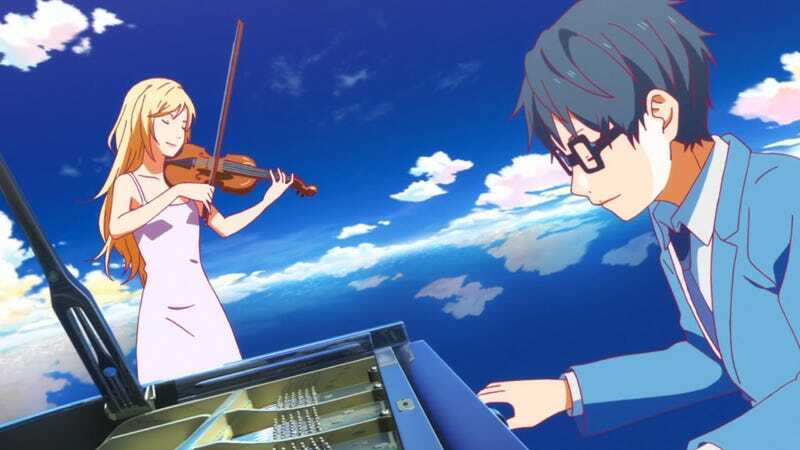 When we talk about anime, we think about visuals, the story, etc.. but a key aspect of what makes an anime, something that compels us to love them so much is music... a topic that rarely gets discussed in regards to Anime. So, I ask you: What are notable anime that has music which influenced your experience, and what are some of your favorite songs (OPs & EDs included) from anime? Music can sway emotions and make atmospheres in a work feel real. There are countless amounts of anime scores where they have moved me, but just some of the highlights are Code Geass and Clannad, works that have scores which play with your emotion, to get you engaged with the story they have to tell. Both of these works have fantastic scores, and I truly love them dearly. As for specific songs, there’s a few I’d like to mention. The insert song of This Illusion in Fate/stay night: Unlimited Blade Works (2014) was extremely memorable given how it showed the devastation of Shirou in the moment, and served as a quite solid end for the season, and the Endings Aqua Terrium and Wareta Ringo from Nagi no Asukara and Shin Sekai Yori respectively for how great they sound while wrapping up the show by reminding you of their respective tone every week. There’s also the the song that plays at the end of YLIA (the header pic) but I’m sure Matt is gonna go over that in the comments. Allof these are great and I definitely recommend checking them out. If you have any ideas for future questions of the week feel free to leave them in the comments, otherwise, see you next Friday. It’s not like Button-chan wanted you to read this post; go follow AniTAY on Facebook and Twitter.